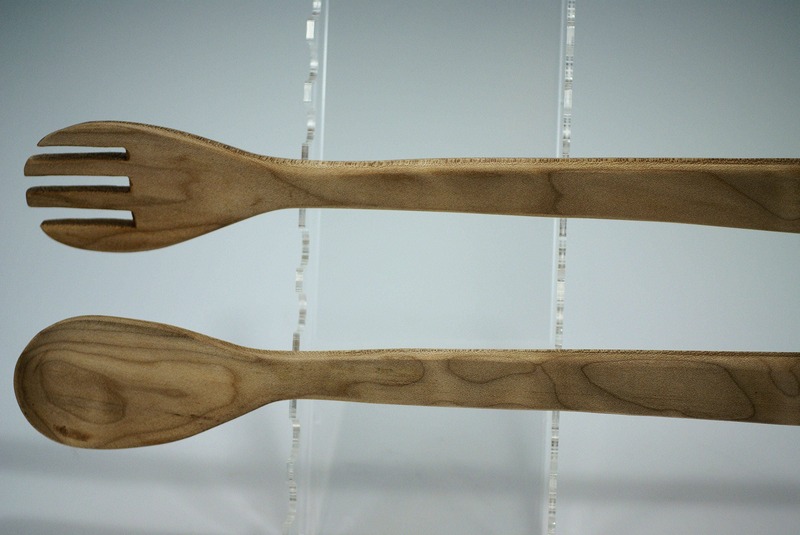 These Wooden Utensils were made of Silver Leaf Maple Wood found in the Willamette Valley of Oregon. 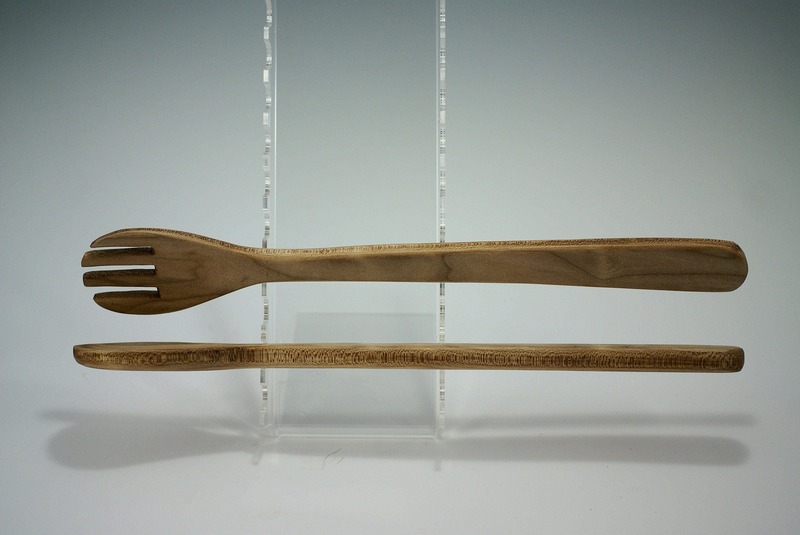 The Fork and Spoon are hand made in my shop to fit the hands of a gracious server. Also as a perfect set to go with that wooden salad bowl. I literally start from a log of wood and cut out the shapes I want for utensils. They are cut by hand sanded by hand and have 5 coats of hand rubbed Walnut oil and Carnuba wax as a finish. These will last a life time and then live on as an heirloom with many happy memories. They are 15" long and weigh 4.9 oz.